Norse mythology is rich, its vast, its intriguing and can take a considerable amount of time to study and understand it thoroughly. If you are a comics fan and are a die hard fanatic of Thor, the Lightening God, you would know something about the many riveting stories about Norse folklore. Norse was the culture of people of Northern European origins much before Christianity happened. Norse mythology stories have passed from one generation of Norsemen to another and have survived for over many centuries. The mythology of Norsemen mainly includes stories about gods, goddesses, each possessing a particular power. A few of them are regarded as the main deities of Norse culture, these are Odin, Frigg, Thor and Loki. To get to know the richness of this mythology, let us proceed further and intrigue you all with our collection of 15 interesting facts about Norse mythology. This is a very interesting story related with Loki and his stupid prank played on Thor’s wife Sif. While she slept, Loki shaved off her head one night, only to provoke Thor and receive his wrath. To pacify the angry Thor, Loki promised that he would give back the hair to Sif but that hair would be crafted by dwarfs. So, he found the dwarfs and got the hair made of gold. The dwarfs made many more precious gifts to amuse the gods. Before leaving, Loki entered into a bet with them, saying there could not be any better gifts than the ones that they had already made. And whoever won the bet would claim the loser’s head. But, the dwarfs proved to be smarter and crafted out a spear that never missed its target, Thor’s hammer called Mjolnir and a ship that could be folded inside a pocket! So, as it turned out, Loki lost grandly but resisted when he felt his head would soon be cut off. So, as a compromise, he was knocked unconscious by Thor and then the dwarfs sewed his mouth with leather. According to Norse folklore, there are three realms in the Norse universe containing nine worlds within. These nine worlds surround the prime cosmological tree that is positioned centrally and is called Yggdrasil. As per the Norse fables, these worlds are inhabited by gods, warriors, giants, dwarfs, elves and the dead and go by the names of Asgard – the land of the Gods, Alfheim – the land of the Light Elves, Vanaheim – the land of the Fertility Gods, Midgard – the Middle World, Nidavellir – the land of the Dwarfs, Jotunheim – the land of the Giants, Svartalfheim – the land of the Dark Elves, Hel and Niflheim – the realm and the world of the Dead. Norse mythology stories like the one about Loki’s ability to change forms is popular and well known. Loki was a very skilled shape shifter and could disguise himself into a man or a woman, a salmon and a horse. There was a mutual hatred between the Aesir and the Giants, and soon after the creation of the nine worlds, a mysterious “Master Builder” arrived at Asgard claiming he could build a giant proof wall to protect Asgard in three years time, but in return, he asked for Freya’s hand in marriage. But the gods gave him only a year for the wall completion with no workforce but a horse to help the builder. As overconfident as they were, the master builder who was in-fact a giant worked non stop, giving worries to the gods. Looking at this, Loki stepped in as a mare to lure the workhorse of the giant and hence he couldn’t complete the wall in one year. 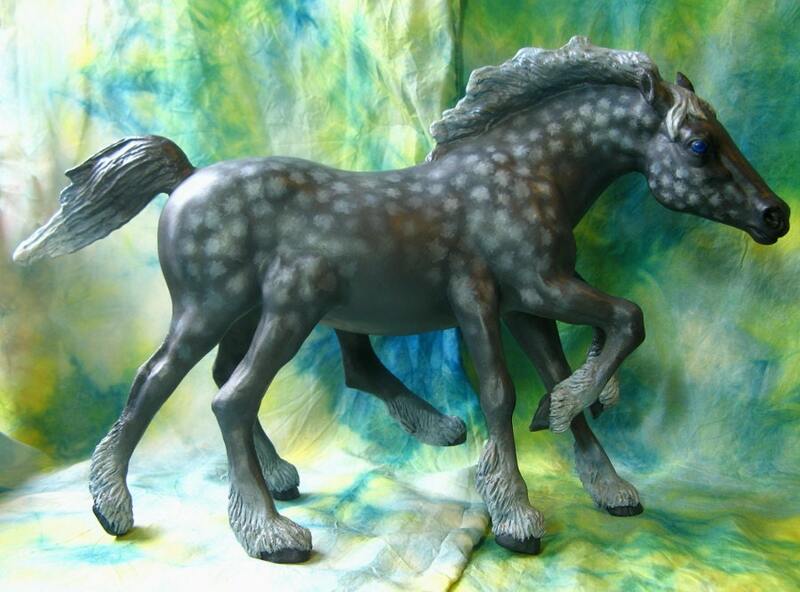 Soon, the giant was killed by Thor and after many months, Loki came back with an eight legged horse called Sleipnir. Most Norse mythological stories speak of Odin who is regarded as equivalent to Zeus, the Greek god. In the list of Norse gods, the name of Odin features first and he is regarded as the father of all gods and is also the god of wisdom and knowledge. In fact, we could call him ‘hungry for wisdom’ as he would do anything to get more knowledge, never mind the price for seeking it. 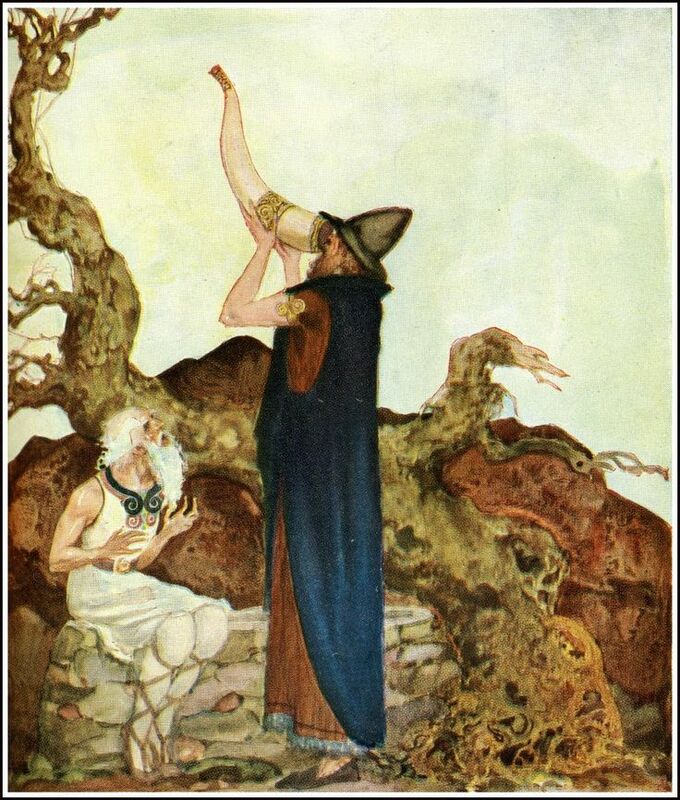 There is a story of him traveling to Mimir’s well, the well of wisdom in which he requests Mimir for a drink of water. As per the legend, any one who drank the water from the well came out a being with divine wisdom. However, the trade agreed was that Odin would have to give Mimir one eye of his for the drink. So, Odin drank the water and gouged his own eye. A witty god, Loki, however could get on the nerves of Odin and the rest of the residents of Asgard because of his mistakes and bad deeds. He sealed his fate by plotting the murder of Baldur. It was because of him that the other brother of Baldur, Hoor, the blind god of darkness accidentally killed him with a mistletoe branch. This sped up the arrival of the destruction of the veils of the realms or what is known as Ragnarok. As punishment, Loki was banished to a cave in a cliff and fastened to a rock with chains made up of intestines of his son. As this was not enough to punish him, a snake with unlimited stores of venom was placed above his head so that whenever the venom dripped on his body, it made Loki convulse so badly that the earth shook. Loki was confined to be chained to the cliff till Ragnarok.